Mad Hatter Designs: Wow! Two in a row! Second post in two days! Wooo! So I'm continuing the saga of sketches of people/characters. This one, according to my mother, looks slightly more accurate than the last one. So without further ado, this is sketch #2. 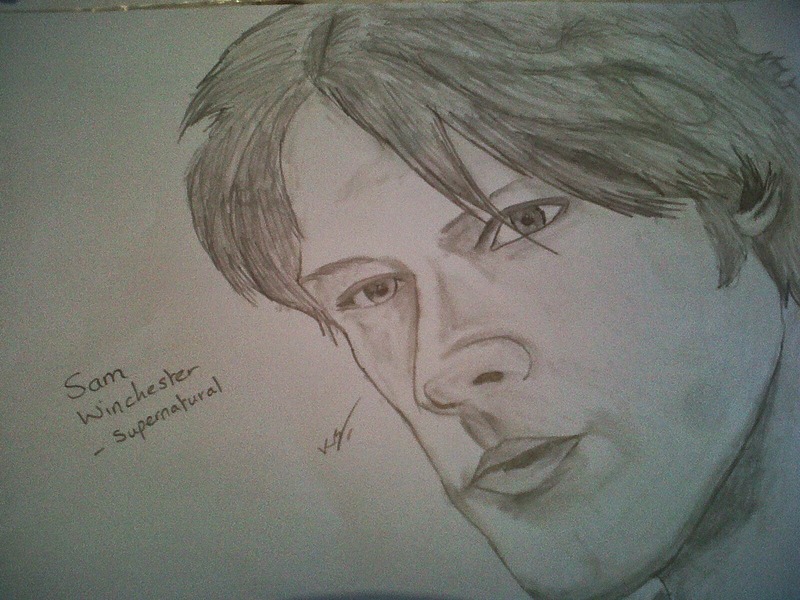 I give you Sam Winchester, the girlier one of the two.